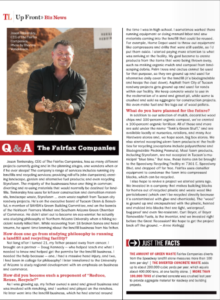 Tucson Lifestyle Magazine wrote a great Q&A piece on The Fairfax Companies in its January 2017 issue. 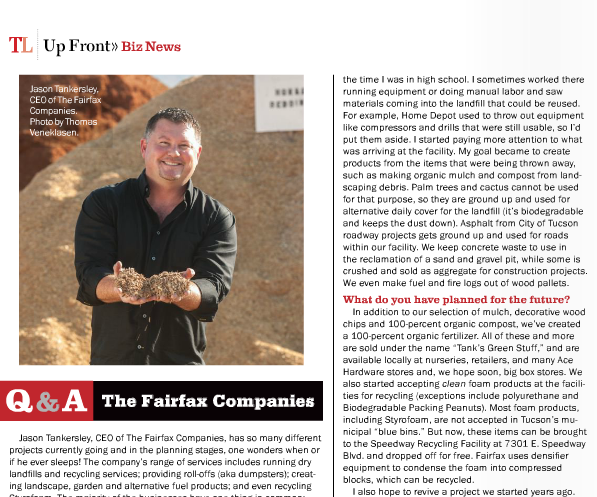 It highlights numerous unique recycling projects, the company’s dedication to finding sustainable solutions, and the man behind the operation, Jason Tankersley. This great issue also includes other familiar faces, Southwest Victory Gardens and Mrs. Green’s World. 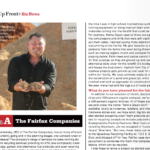 Click here to read the article on page 22.